Dr. Worrall’s research interests are in Property Casualty Insurance – Automobile Insurance, Workers’ Compensation Insurance and in Financial and Labor Economics. He is a past president of the Risk Theory Society . Dr. Worrall and his colleague, Professor Richard Butler of BYU, were selected as the 2001 recipents of the ROBERT I. MEHR AWARD for their paper, “Claims Reporting Moral Hazard in Workers Compensation.” (Journal of Risk and Insurance, 1991) . The award is presented by the American Risk and Insurance Association for the article which has stood the test of time and made the greatest contribution over the last 10 years. The award was presented in August, 2001, at ARIA’s Annual Meeting. Dr. Worrall recommended changes to New Jersey’s Private Passenger Automobile Insurance system in a March 18, 2002 paper he completed for the American Insurance Association. This Roadmap to Market Stability for the NJ Private Passenger Automobile Insurance Market can be downloaded by clicking 2002 Auto Insurance Study. Dr. Worrall’s study was the subject of a Wall Street Journal editorial, New Jersey-stan , Apr. 22, 2002, p. A22. The Roadmap paper is a follow-up to his earlier study of the New Jersey private passenger automobile insurance market, Private Passenger Auto Insurance in New Jersey: A Three Decade Advert For Reform for the American Enterprise-Brookings Institution Conference on Insurance Regulation (January 2001). This 2001 Auto Insurance Study was published by the Brookings Institution. (See the Wall Street Journal Editorial “Like a Good Neighbor” Aug. 27, 2001, Page A14; or The Philadelphia Inquirer editorial “Unfinished Business,” June 25, 2001, for a few examples of editorial reactions to the Professor Worrall’s study). He wrote, “Workers Compensation Insurance” with David Durbin, in The Handbook of Employee Benefits 5th ed, Jerry S. Rosenbloom (ed. ), McGraw-Hill, 2001. Widely published, his work has appeared in the Economic Journal , the Journal of Law and Economics , the Review of Economics and Statistics , the Journal of Human Resources , the Industrial and Labor Relations Review , the Journal of Risk and Insurance , the Journal of Labor Research , the Journal of Regulatory Economics . He served as an Associate Editor of The Journal of Risk and Insurance for 25 years. Professor Worrall has served on the Editorial Board of the Journal of Disability Policy Studies , and the Inaugural Review Committee of the Journal of Visual Impairment and Blindness . He served a ten year term as an Associate Editor of the journal Insurance: Mathematics and Economics . He has served as a referee for many leading economics and insurance journals. Dr. Worrall wrote a Star Ledger Op Ed calling for deregulation of the New Jersey private passenger automobile insurance market. He wrote several other op-ed pieces on the same topic (see his Philadelphia Inquirer pieces Insurance Crisis is Man-Made , June 17, 2002, and N.J. Factors, Not Firms, Keep Auto Rates High , Nov. 14, 2001. He wrote an Op Ed (May 4, 2003) for the Philadelphia Inquirer on Medical-malpractice insurance. Admitted to the Risk Theory Seminar in 1983 in Helsinki, Finland. Elected to the National Academy of Social Insurance in 1991. Delegate to the White House Conference on the Handicapped and, with Monroe Berkowitz and Jeff Rubin, wrote both the background paper for the White House Conference and the Disability Policy Paper for President Carter’s transition team. 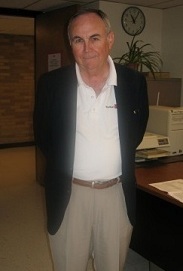 The Alumni Association selected Dr. Worrall as The College’s Outstanding Faculty Member in 1991. He was selected for the University’s Warren I. Susman Award in 1998. He was also selected by the University of Wisconsin Graduate School of Business to deliver the Fourth Annual John R. Commons Lecture . LAOH Honoree (1998) and Clan na nGael Honoree (1999). Before joining the Rutgers faculty in 1983, Dr. Worrall served as Vice President and Director of Research for the National Council on Compensation Insurance. He also served as the Director of Research for the Human Resources Center (National Center on Employment of the Handicapped), as a Senior Research Economist for Disability Systems, Inc., and taught at the New Jersey Institute of Technology. Dr. Worrall is a member of many professional organizations. He served five three year terms as Department Chair. He is active in the community, has served on many boards, and in the Summer of 1998, was selected by the Federation of Irish American Societies to serve as an International Observer in the North of Ireland. Page last updated by Department of Economics at 2:30 pm March 2, 2017 . This page was printed from http://economics.camden.rutgers.edu/faculty/worrall/ at 10:49 PM Thursday, April 25, 2019.